Our primary goal is to simply provide the very best, quality castors and wheels for our customers according to our virtues: quality, innovation, service and flexibility. 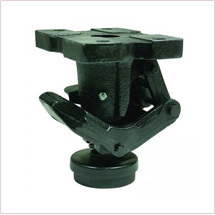 6000 heavy duty, zinc plated, stainless steel, pneumatic, jacking, gate & twin wheel castors available. 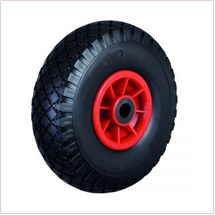 Over 1000 rubber, nylon, cast iron, polypropylene, polyurethane and steel wheels. Tubes, bearings, bolts, brackets, buffers, expanders, locks, nuts, tyres, spacers, caps and washers. 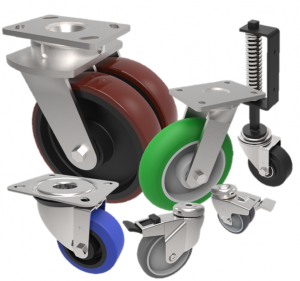 If you are looking for just a few fixed castors for a small appliance project or thousands of swivel caster wheels in various sizes for large production runs then BIL can help. From one of the largest castor inventories in the UK, we can supply a huge range of industrial castors with brakes, stainless steel castors, pneumatic rubber wheels, pallet rollers and more. Why us? We are a leading UK manufacturer of castors, industrial wheels and fixings & fittings for just about any application including OEM products, materials handling, institutional equipment, retail display, trucks and trolleys, safely moving furniture and many other specialist and industrial applications. Need advice or support? Contact us. 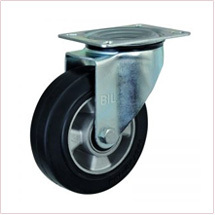 WHY BUY CASTORS AND WHEELS FROM BIL? 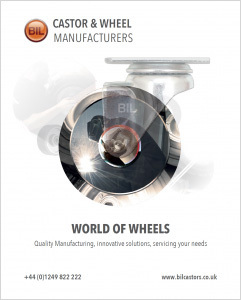 BIL are ISO 9001:2015 accredited as a manufacturer, designer and developer of castors and wheels and our Quality Management System forms the backbone of our organisation. Testing and quality control is standard at BIL and our products have been extensively field tested. Full batch traceability is incorporated in our systems to track every single component and materials back to source. Final checks prior to despatch ensure that our renowned superior build quality on all wheels & castors remains consistently high. The BIL brand stamp is a guarantee of the highest quality and our assurance that our products are built to last. BIL are confident that we can provide what you want, when you want it, competitively.